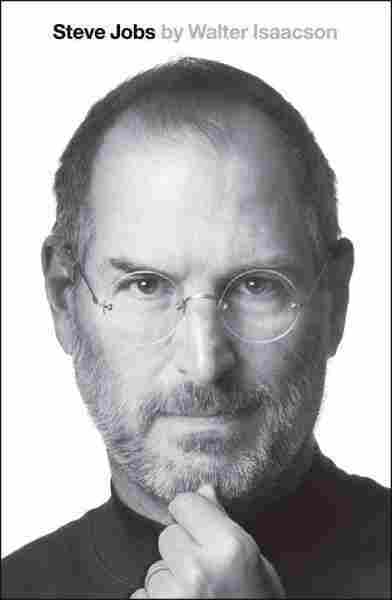 Jobs' Biography: Thoughts On Life, Death And Apple After Steve Jobs was diagnosed with cancer, he asked Walter Isaacson to write his biography. The new book tells the personal story of the man behind the personal computer — from his childhood in California to his thoughts on family, friends, death and religion. 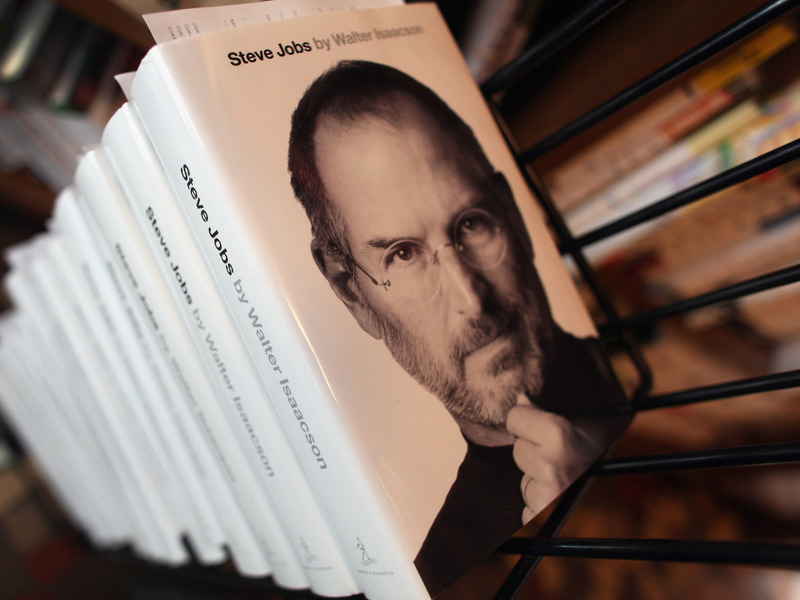 Walter Isaacson's biography of Apple co-founder Steve Jobs was published Monday, less than three weeks after Job's death on Oct. 5. When Steve Jobs was 6 years old, his young next door neighbor found out he was adopted. "That means your parents abandoned you and didn't want you," she told him. Jobs ran into his home, where his adoptive parents reassured him that he was theirs and that they wanted him. "[They said] 'You were special, we chose you out, you were chosen," says biographer Walter Isaacson. "And that helped give [Jobs] a sense of being special. ... For Steve Jobs, he felt throughout his life that he was on a journey — and he often said, 'The journey was the reward.' But that journey involved resolving conflicts about ... his role in this world: why he was here and what it was all about." When Jobs died on Oct. 5 from complications of pancreatic cancer, many people felt a sense of personal loss for the Apple co-founder and former CEO. Jobs played a key role in the creation of the Macintosh, the iPod, iTunes, the iPhone, the iPad — innovative devices and technologies that people have integrated into their daily lives. Jobs detailed how he created those products — and how he rose through the world of Silicon Valley, competed with Google and Microsoft, and helped transform popular culture — in a series of extended interviews with Isaacson, the president of The Aspen Institute and the author of biographies of Albert Einstein and Benjamin Franklin. The two men met more than 40 times throughout 2009 and 2010, often in Jobs' living room. Isaacson also conducted more than 100 interviews with Jobs' colleagues, relatives, friends and adversaries. 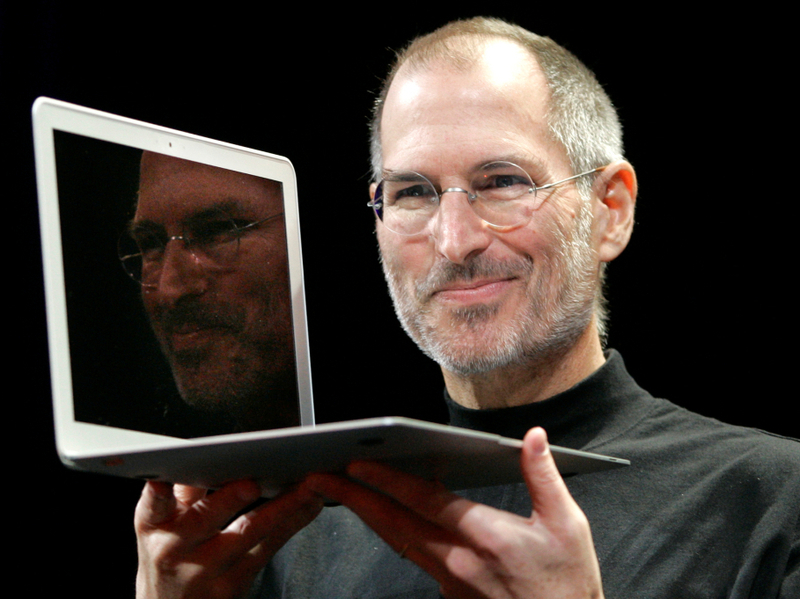 His biography tells the story of how Jobs revolutionized the personal computer. It also tells Jobs' personal story — from his childhood growing up in Mountain View, Calif., to his lifelong interest in Zen Buddhism to his relationship with family and friends. In his last meetings with Isaacson, Jobs shifted the conversation to his thoughts regarding religion and death. "I remember sitting in the back garden on a sunny day [on a day when] he was feeling bad, and he talked about whether or not he believed in an afterlife," Isaacson tells Fresh Air's Terry Gross. "He said, 'Sometimes I'm 50-50 on whether there's a God. It's the great mystery we never quite know. But I like to believe there's an afterlife. I like to believe the accumulated wisdom doesn't just disappear when you die, but somehow it endures." Jobs paused for a second, remembers Isaacson. "And then he says, 'But maybe it's just like an on/off switch and click — and you're gone.' And then he paused for another second and he smiled and said, 'Maybe that's why I didn't like putting on/off switches on Apple devices.' "
Jobs' attention to detail on his creations was unrivaled, says Isaacson. Though he was a technologist and a businessman, he was also an artist and designer. "[He] connected art with technology," explains Isaacson. "[In his products,] he obsessed over the color of the screws, over the finish of the screws — even the screws you couldn't see." Even with the original Macintosh, he made sure that the circuit board's chips were lined up properly and looked good. He made them go back and redo the circuit board. He made them find the right color, find the right curves on the screw. Even the curves on the machine — he wanted it to feel friendly. That obsessiveness occasionally drove his Apple co-workers crazy — but it also made them fiercely loyal, says Isaacson. "It's one of the dichotomies about Jobs: He could be demanding and tough and irate. On the other hand, he got all A-players and they became fanatically loyal to him," says Isaacson. "Why? They realized they were producing, with other A-players, truly great products for an artist who was a perfectionist — and wasn't always the kindest person when they failed — but he was rallying them to do great stuff." He relays one story about Jobs that shows, he says, how much he was able to connect great ideas and innovations together. In the early 1980s, Jobs visited Xerox PARC, a research company in Palo Alto that had invented the laser printer, object-oriented programming and the Ethernet. Jobs noticed that the computers running at PARC all featured graphics on their desktops that allowed users to click icons and folders. This was new at the time: Most computers used text prompts and a text interface. "Steve Jobs made an arrangement with Xerox and he took that concept [of the graphical user interface] and he improved it a hundred-fold," says Isaacson. "He made it so you could drag and drop some of the folders; he invented the pull-down menus. ... So what he was able to do was to take a conception and turn it into a reality." That's where Jobs' genius was, Isaacson says. Jobs insisted that the software and hardware on Apple products needed to be fully integrated for the best user experience. It was not a great business model at first. "Microsoft, which licensed itself promiscuously to all sorts of manufacturers, ends up with 90 to 95 percent all the operating system market by the beginning of 2000," says Isaacson. "But in the long run, the end-to-end integration system works very well for Apple and for Steve Jobs. Because it allows him to create devices [like the iPod and iPad] that just work beautifully with the machines." Isaacson says working with Jobs gave him an additional insight into the design of Jobs' products. "I see the depth of the simplicity," he says. "[I appreciate] the intuitive nature of the design, and how he would repeatedly sit there with his design engineers and his user-interface software people, and say, 'No, no no, I want to make it simpler.' I also appreciate the beauty of the parts unseen. His father taught him that the back of a fence or the back of a chest of drawers should be as beautiful as the front because [he] would know the craftsmanship that went into it. So somehow, it comes through — the depth of the beauty of the design." Jobs was a perfectionist with a famously mercurial temperament. He was an artist and a visionary who "could be demanding and tough and irate," says Isaacson. Isaacson: "When it first came out — I can't use the words on the air — but [Jobs thought it was] clunky and not beautiful and not aesthetic. But as always is the case with Microsoft, it improves. And eventually Microsoft made a graphical operating system — Windows — and each new version got better until it was a dominating operating system." Isaacson: "There are all sorts of lawsuits where Apple is trying to sue Microsoft for Windows, for trying to steal the look and feel. Apple loses most of the suits but they drag on and there's even a government investigation. By the time Steve Jobs comes back to Apple in 1997, the relationship is horrible. And when we say that Jobs and Gates had a rivalry, we also have to realize they had a collaboration and a partnership. It was typical of the digital age — both rivalry and partnership." Isaacson: "I think there was an unnerving historic resonance for what had happened a couple of decades earlier [with Microsoft]. Suddenly you have Google taking the operating system of the iPhone and mobile devices and all of the touch-screen technologies and building upon it, and making it an open technology that various device makers could use. ... Steve Jobs felt very possessive about all of the look, the feel, the swipes, the multitouch gestures that you use — and was driven to absolute distraction when Android's operating system, developed by Google and used by hardware manufacturers, started doing the exact same thing. ... He was furious but that probably understates his feeling. He was really furious and he let Eric Schmidt, who was then the CEO of Google, know it." 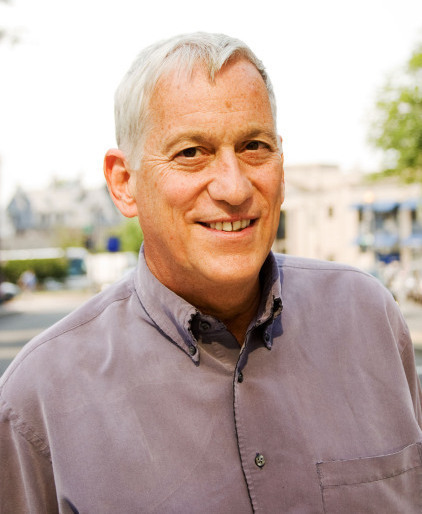 Walter Isaacson is president and CEO of The Aspen Institute. His other books include Einstein: His Life and Universe; Benjamin Franklin: An American Life, and Kissinger: A Biography. Isaacson: "When Steve got placed with [parents who were not college graduates], his biological mother initially balked at first but ... the Jobs family made a pledge that they would start a college fund and make sure that Steve went to college." "I finally talked to his wife, who was very good at understanding his legacy, and she said, 'If you're going to do a book on Steve, you can't just keep saying, 'I'll do it in 20 years or so.' You really ought to do it now.' This was 2009. Steve Jobs, that year, had had a liver transplant and I realized how sick he was. ... And so, that was when I realized that this was a very fascinating tale and this guy may or may not make it. I thought he was going to live much longer. But at the very least, he was facing the prospect of his mortality so it was time for him to be reflective and do a book." "He said, 'I'll make you this promise. I'm not going to read the book until next year, until after it comes out.' And it made me feel a grand emotion, of 'Oh! That's great. Steve is going to be alive for another year.' Because when you're around him, the power of his thinking really grabs you. I remember leaving his house and thinking, 'Oh, I'm so relieved. He'll be alive in a year. He just told me so.' Logically, I should have said, 'He doesn't know what ups and downs he's going to have with his health.' But I think that he always felt some miracle would come along because all of his life, miracles had come along."